- All prizes will be provided in store credit to be reddemed on the GCT Studios Website. To begin with we have 2 new models for the Minimoto. 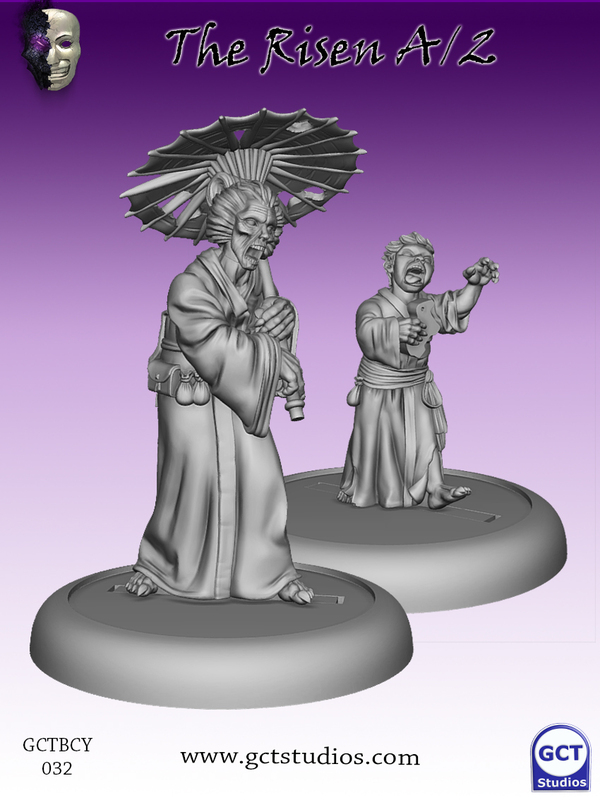 Obviously as a brand new faction, each model is a huge increase in their range so fans of The Bear Clan will be keen to get hold of Tetsu and Nuan. 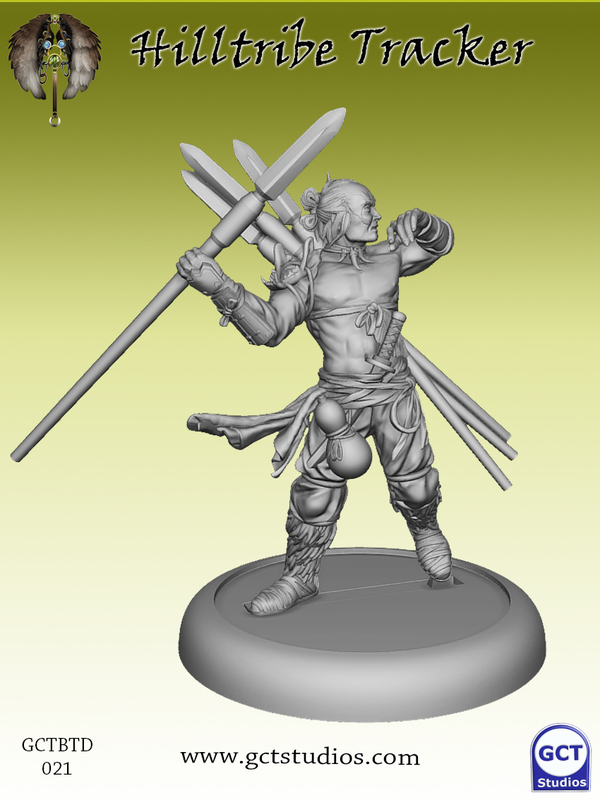 Nuan is a blacksmith, he is the lowest rank of blacksmith for now and he deals with removing the slag and impure metals from the forge. If you are going to get rid of it, why not throw it at your enemies? He hurls the molten metal either directly at the enemy or high into the air creating clouds of smoke and sparks. As you can see he provides valuable ranged defences for his fellow Minimoto and has a decent ranged option. Both are new for the faction and very valuable so Nuan will be seen in many lists as the slow Minimoto models can be quite vulnerable to good ranged attacks. 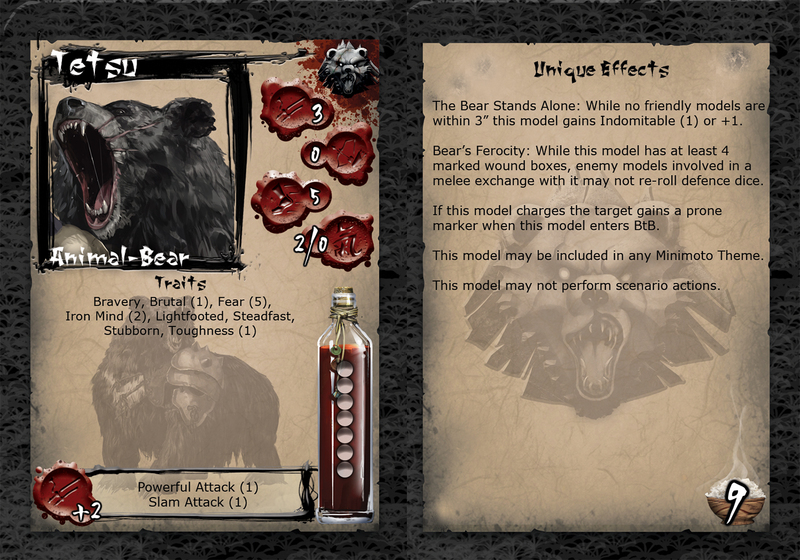 As you’d imagine, being charged by a bear is not good for you! If Tetsu charges and is in range, the target is knocked down before the melee exchange. 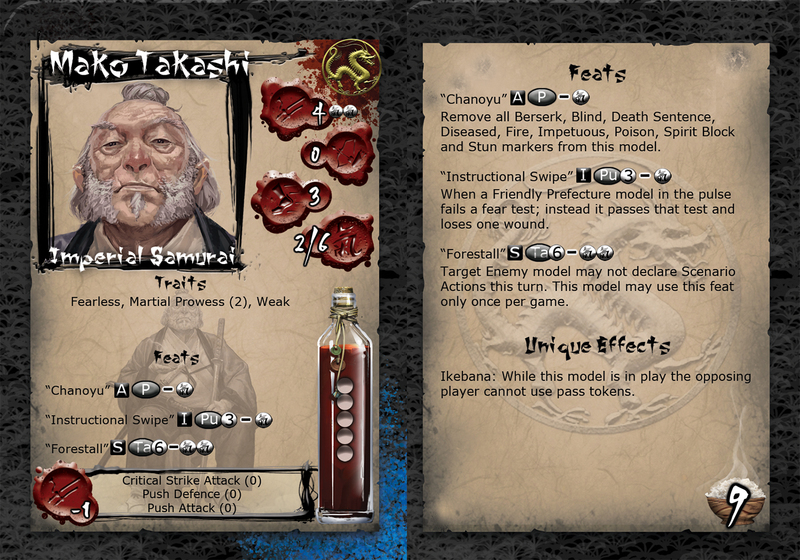 This is in addition to Fear meaning Tetsu can apply multiple debuffs in one activation and follow it with a melee with Brutal and very high melee strength. These two models give Minimoto a great array of options to make different kinds of lists, things are looking good for our newest faction! 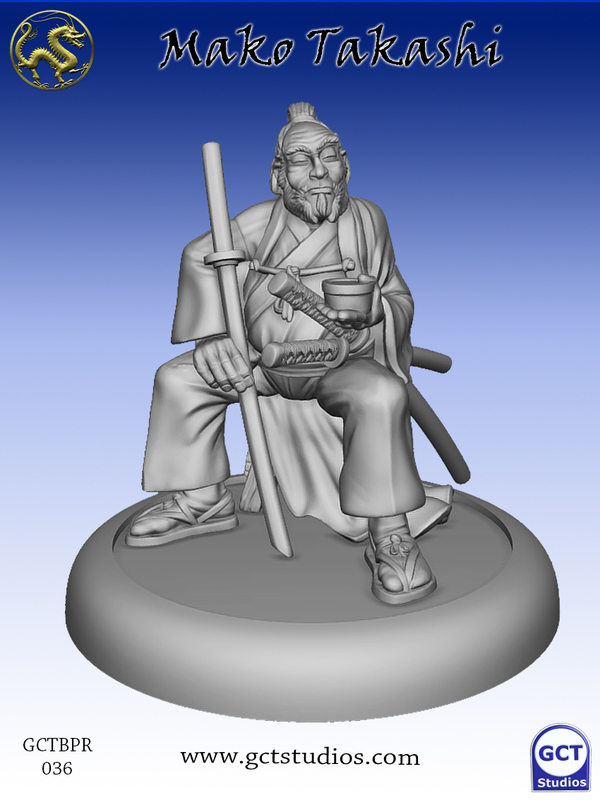 Mako Takashi was a renowned swordsman and respected general before many of the current generation of the Takashis were even born, he was one of the eight great Blademasters of the Empire and was appointed a General of the Imperial Armies, leading the Golden Sentinels before his age caused him to retire. Often referred to as “Uncle Mako” it may not be clear exactly who’s uncle he is as even Hida refers to him as his Uncle. Mako may be old and his body is not what it was but his Kenjutsu technique is still perfect. Martial Prowess (2) is very rare as it is incredibly powerful. Mako carries his Bokken and contemptuously defends against lesser opponents, but his Daisho are near to hand and his mastery of the Takashi Koryu technique to sever a head in a single slash is near perfect. Other Takashi who waver in combat are often set straight by a “Reminder” from Mako’s Bokken and he can always make himself feel better with a nice cup of tea, properly prepared it removes almost any State effect. 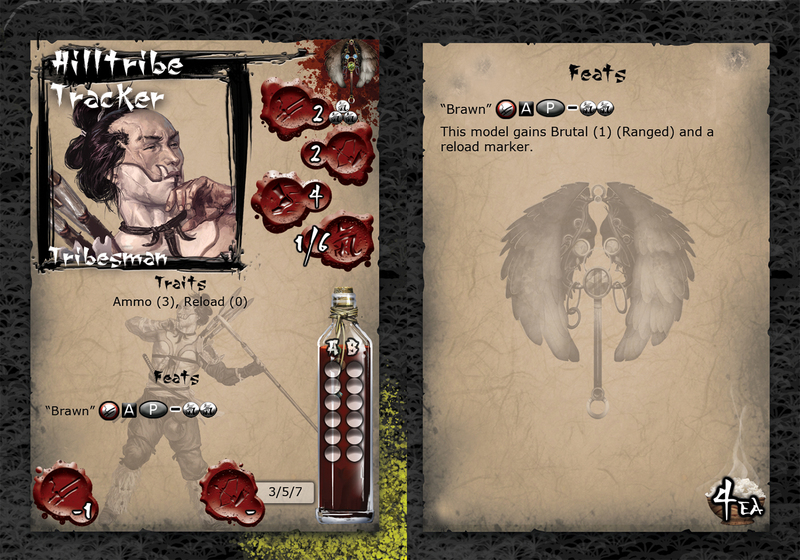 The Hilltribe Tracker is a new tribesman model for Tengu that specialises in ranged attacks. These tribesmen live further down the mountain and hunt for food using their javelins. They are low Rice options and they have a feat that increases their potential dramatically but at the cost of a reload marker. 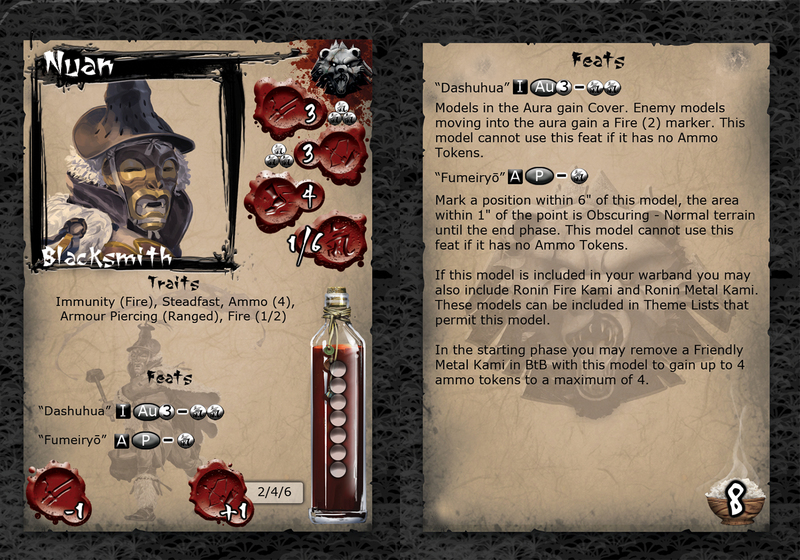 Obviously as cheap options they benefit a lot from Inspiration and add a new ranged dimension to the hilltribe. We also have Yokozuna Akashi. A new Buto for Silvermoon and he comes with a new theme card! 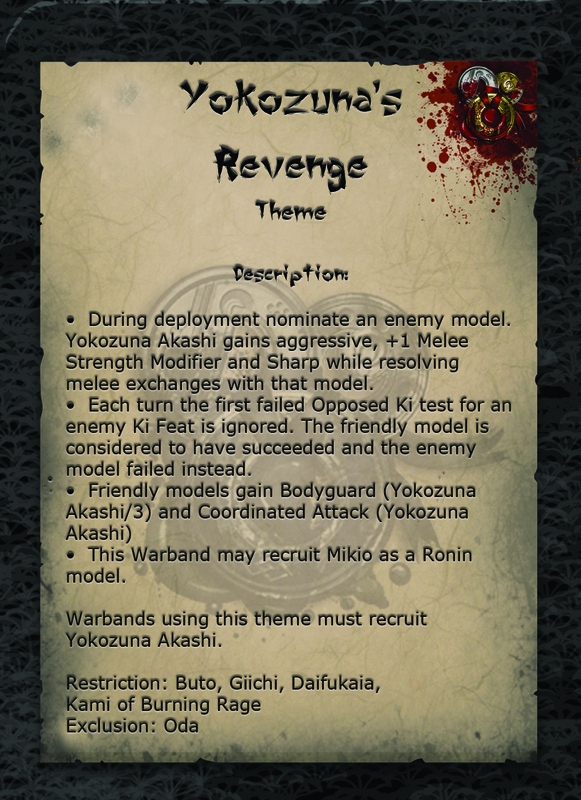 Akashi retired as a legend from the fighting pits, his fame is known even outside the empire. So what has brought him back to the conflicts of the Jwar Isles? The answer is… you get to decide! 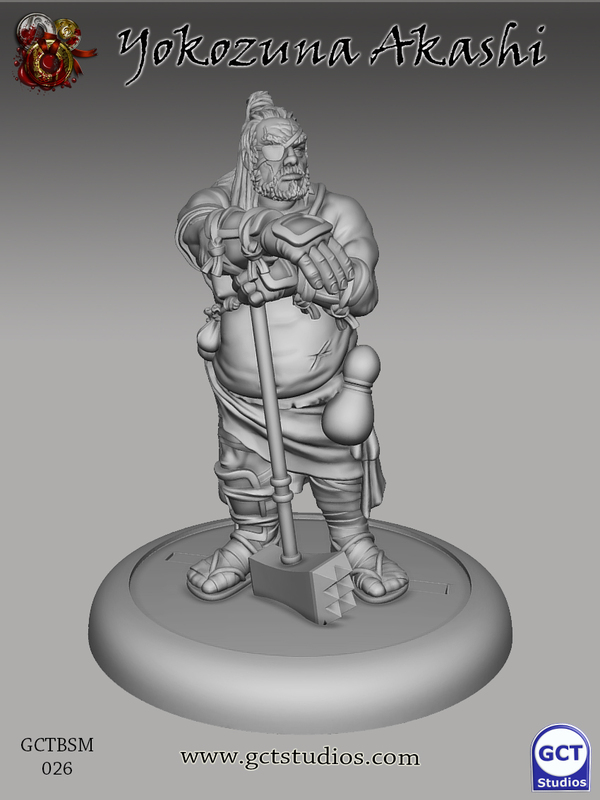 With this new kind of theme you can create your own narrative for your games by choosing an enemy model who has wronged the great Yokozuna and he has asked all his old friends from the pits to help him. 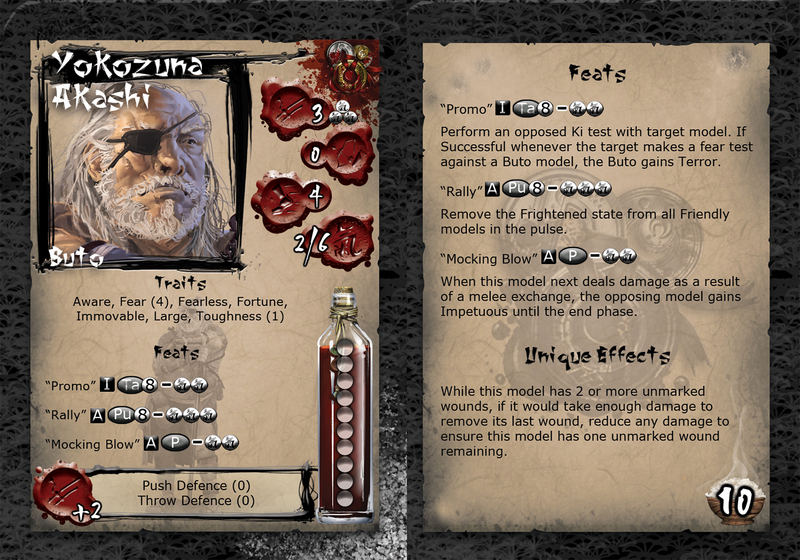 The theme is very limited so can have some more interesting and powerful abilities. We hope to make more of these themes in future and maybe expand the idea to allow less competitive, more narrative games to be played with different win conditions based on these themes. For now we hope you like this as a new option for your Silvermoon. Akashi himself offers abilities gained from his experience, he can cut a promo, shouting catch-phrases and intimidating his opponents or settle the nerves of his allies. While he is a great fighter, Akashi also knows how to put on a show and by slapping an opponent open handed, something which could be a dishonour to bear with no immediate retaliation, he can force his opponent to exhaust themselves against him, while his allies are well used to going the full 12 rounds. Finally, the crowd love nothing more than a comeback and when he should go down for the count, the old Yokozuna can return to the fray and fight to the finish! 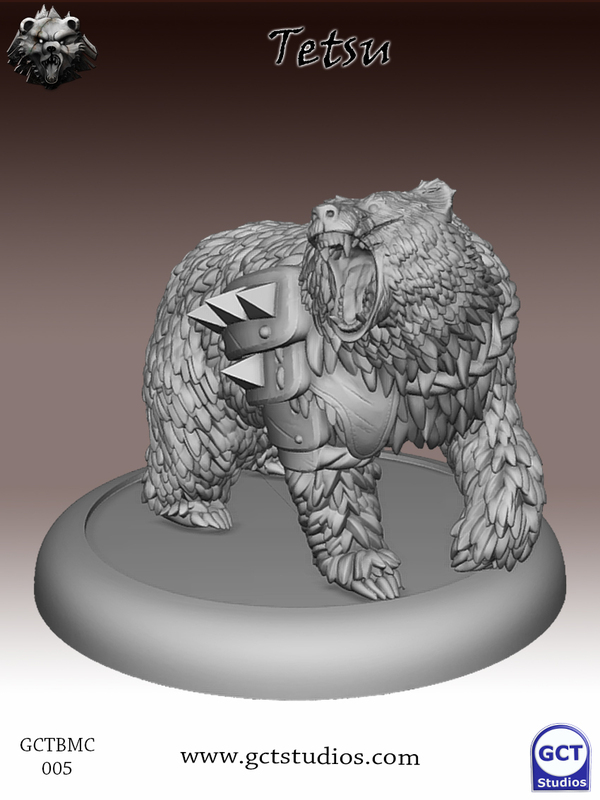 Some great models, let us know which new releases you are looking forward to in the forums. 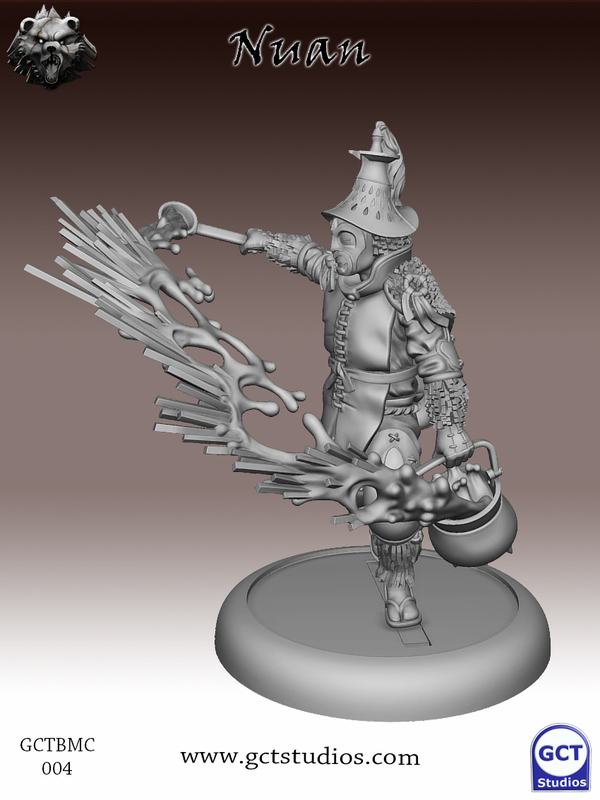 This wave will be available for Pre-Order on the Thursday 1st of November and will be released on Friday 2nd. Pre-Orders will be shipped a day early but we have some other exciting plans for November which will make it all a bit clearer why there's such a short Pre-Order. 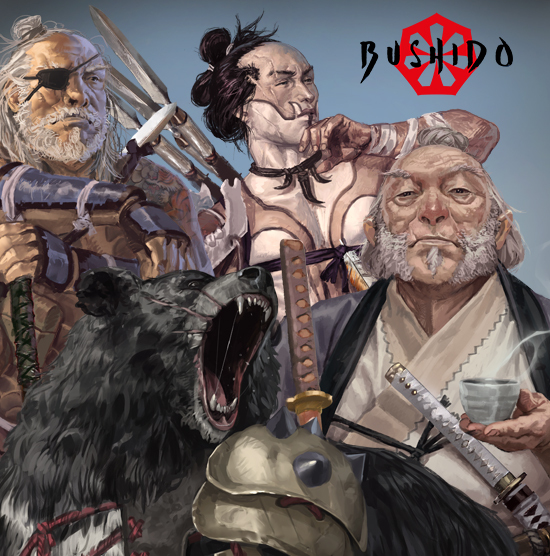 We'll be running a Bushido tournament, implementing our new rules and including a ton of prizes. As well as this we will have a full weekend of casual play with the new rules. We see this as a great opportunity to get direct feedback from you, the players. If you fancy coming along get yourself a ticket HERE. If you just want to take part in the tournament then one day tickets are available, the tournament will be on Saturday the 9th.